Nothing compares to the magic of a charming live performance, lilting in a church or ceremonial room, when you say ‘I do’. 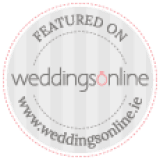 The Best Men Wedding Band can provide the ideal musical accompaniment for this part of your big day, be it a chapel or a civil service, with our wedding ceremony music options. The Kooky Ukes ukulele trio can play and sing some beautiful songs while you officially tie the knot… think of ‘Somewhere Over The Rainbow’, ‘What A Wonderful World’, ‘Galileo’, lending an evocative, colorful, romantic sound to the proceedings. And imagine how cool Wagner’s ‘Bridal March’ sounds on ukulele! Visit The Kooky Ukes website! Laura Hand – Specializing in wedding ceremony music, Laura is a classically trained vocalist with extensive experience in performing mesmerizing melodies. The talented songstress has over 15 years experience performing at both church and civil ceremonies. As planning the music that fits for a church setting or a civil ceremony is a new experience for most, The Best Men Wedding Band would be delighted to work with you prior to the big day to offer suggestions and put together the perfect arrangement for you. 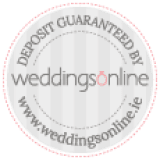 No two weddings are the same, and we’re committed to delivering those personal touches that will make your event truly unique! Wondering where to start? 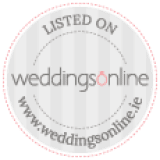 We have compiled a sample list of ideas based upon previous arrangements that The Best Men Wedding Band have performed, alongside the female vocalists above. Opting for a civil ceremony? 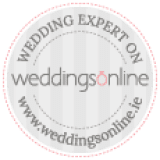 Talk to the team at Civil Ceremonies with MusicAngel! They’re the sister to our management team at MusicAngel and specialise in providing entertainment options for civil ceremonies. They believe that all types of weddings should have a world of options at their feet with the same standard of musicianship and range of moolah on offer. And The Best Men agree. ALSO: Check out The Kooky Ukes Civil Ceremony video below, where we go through a range of tunes that would be ideal for your ceremony, including Crazy in Love by Beyonce and the GOT theme tune!